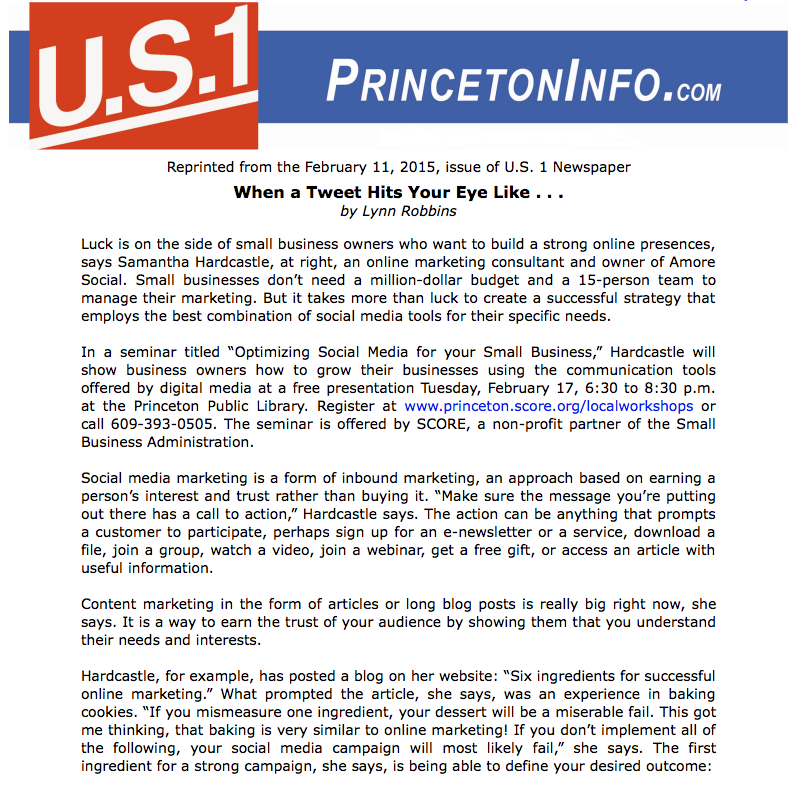 I am excited to share with you a recent article published in the US1 about Amore Social and social media marketing. And on February 17th I will be giving a free workshop on Social Media Marketing for small businesses. You can register for the event on the Princeton SCORE website. 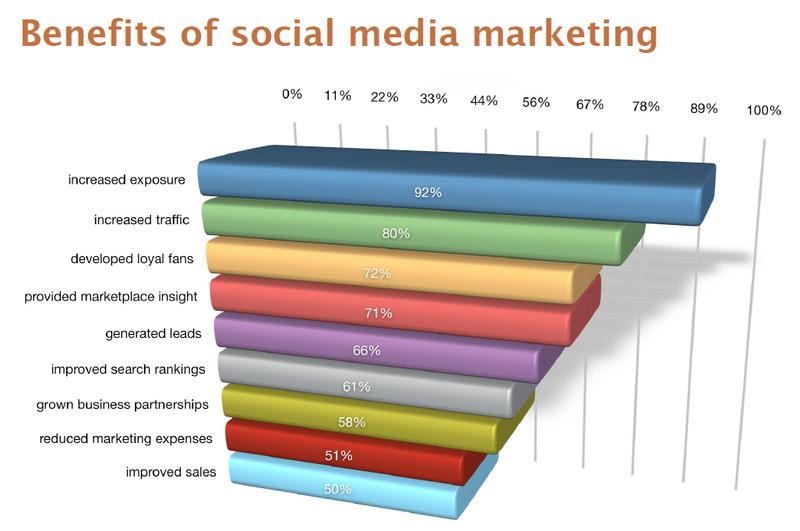 Social Media Marketing is a form of Inbound Marketing – any marketing tactic that relies on earning people’s interest vs. buying it. Learn what it takes for a small business to leverage social media’s interactive and two-way communication to establish a successful social media presence.Speaker Bio: Samantha Hardcastle is an online marketing consultant and owner of the social media marketing firm AmoreSocial.com. She integrates her traditional marketing education with her knowledge and passion for social media. Samantha has worked with 100+ local and nationwide NJ-based companies to improve client results.